It looks like we are going to have to start raking leaves this weekend, since most of our trees have finished dropping their leaves. Luckily the children are old enough to do most of the raking! Check out 5 Minutes for Mom for more Wordless Wednesday. We picked the apples from our trees recently and got a good harvest this year. 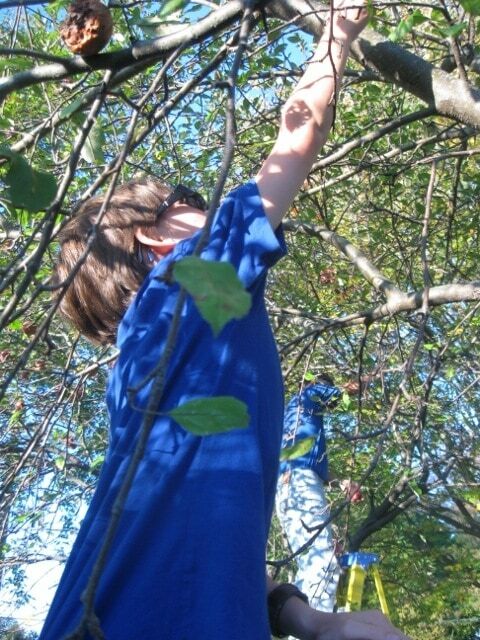 Our apple trees arenâ€™t dwarf trees, so it is hard to reach the top. Around here the leaves are approaching peak color, and look gorgeous. Our apple trees have done pretty well this year, but we need to get out and pick. Link up at 5 Minutes for Mom for more Wordless Wednesday.